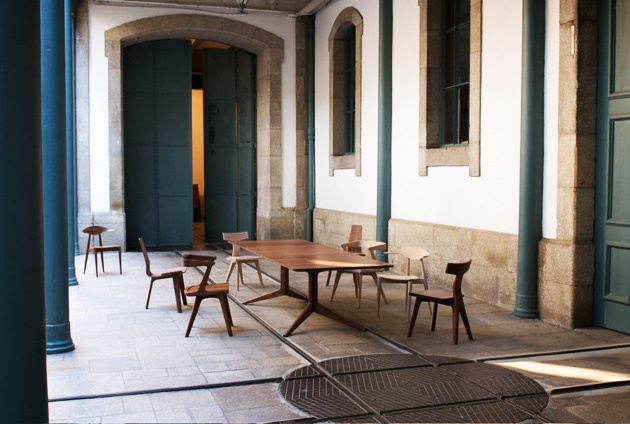 Autoban, Matthew Hilton and Søren Rose Studio exhibit their new and classic products at Maison et Objet (18-22 January 2013) under De La Espada - a first of a kind design management brand that leads in modern solid wood furniture. 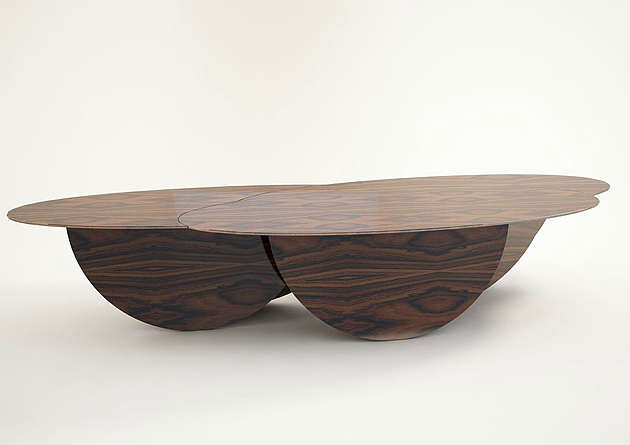 Light Extending Table by Matthew Hilton (De La Espada). Photo: M. Hilton. De La Espada puts the author at the forefront, and it’s known for its meticulous detailing in the production and respect for modern artisan. They partner with designers who art direct, curate and design their own product lines, supporting them through manufacture and distribution. 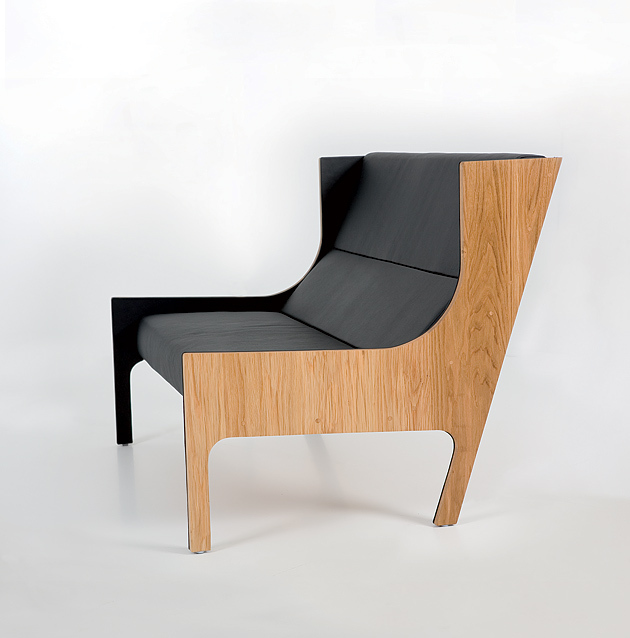 Marys Chair, crafted in solid hardwood, is substantial yet delicate, sculptural yet highly functional. It was inspired by a visit to the Cathedral of St. Mary of the Assumption in San Francisco. Marys chair captures this paradox of weight and weightless. Designed by M. Hilton, and manufactured by De La Espada craftsmen. At Maison et Objet, Matthew Hilton is launching the rugs, Tile and Link, inspired by a walk through the streets of the old town of Porto, the patterns and textures simplified, extrapolated, reduced and re-proportioned. 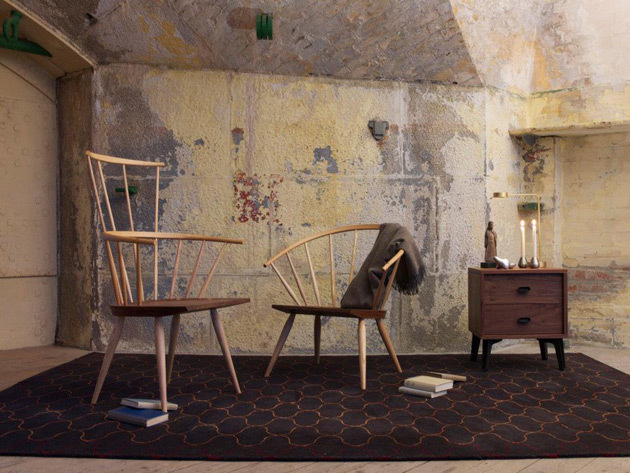 The Kimble Windsor chair and the Burnham Windsor chair by Matthew Hilton (De La Espada). He also presents his key designs – including the new Mary’s Chair, Armstrong Sofa and Pole Light as well as signature pieces such as Light Extending Table and Windsor Chairs. 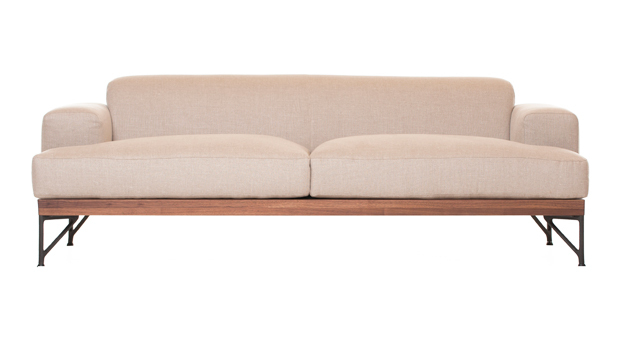 Armstrong sofa is a cool and brooding design with an exposed timber frame and a cast iron legs. Design: M. Hilton. Manufactured by De La Espada. 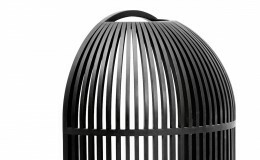 Matthew Hilton is one of Britain’s most highly respected industrial designers and a Royal Designer for Industry. Working primarily in solid wood, he pushes the boundaries of the material, creating sculptural yet functional designs with an elegant simplicity that belies the complex engineering. At Maison et Objet, Søren Rose Studio is launching new additions to the Park Avenue collection including P.A. Upholstered Bed, P.A. Bookcase, P.A. Ottoman Tray, and a seat pad for the Church Chair. 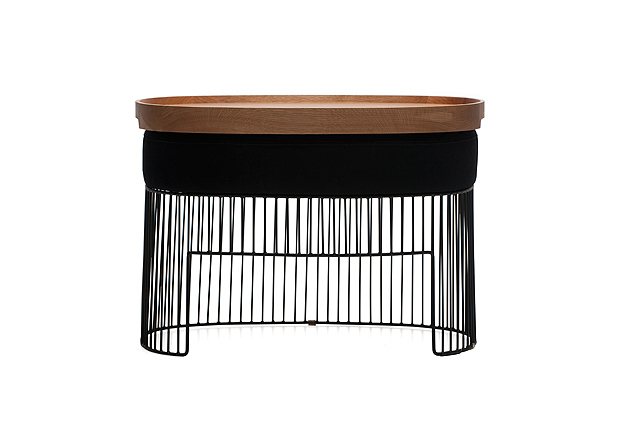 Part of the Park Avenue Collection - P.A Ottoman Tray by Søren Rose Studio (De La Espada). Part of the Park Avenue Collection - P.A. 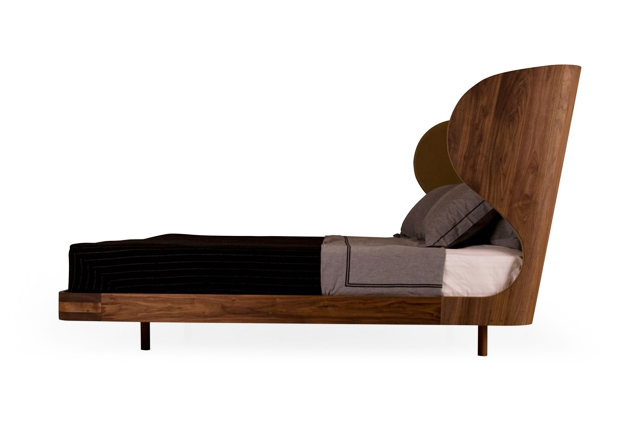 Upholstered Bed by Søren Rose Studio (De La Espada). Søren Rose Studio combines the best of the Scandinavian furniture tradition with a New York contemporary feeling, and introduces American black walnut as a new timber for the collection. P.A. Dining Table & P.A. 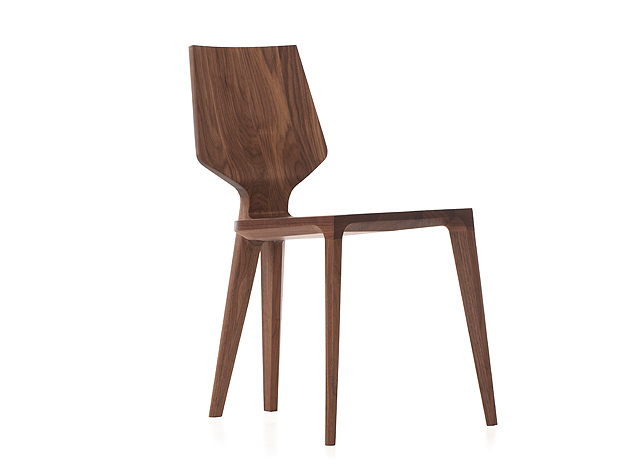 Dining Chair by Søren Rose Studio (De La Espada). Photo: Søren Rose Studio. 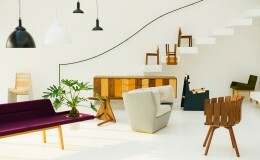 Autoban space at the Maison et Objet is conceived as a studio, implying in visual layers influences on the design process from conception to production. Autoban installation for Maison et Objet (De La Espada). 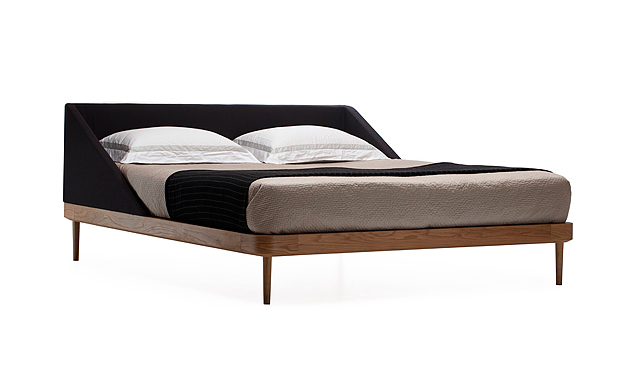 Recent launches from Autoban include Cloud table that is displayed next to classics such as Sleepy and Bergère. All are transformed by a new timber option launching at the event, brown stained chestnut. Cloud is an oversized table inspired by the organic forms of clouds. Made from engineered solid wood, this table is an excellent focal point for a large, open room. Designed by Autoban and manufactured by De La Espada for the Autoban brand. Bergère Sofa is an icon of Autoban’s unique design sensibility. Inspired by the classical French armchair of the same name, Bergère has a planar solid wood shell giving the impression of a box. Luxurious upholstery softens the inner face. 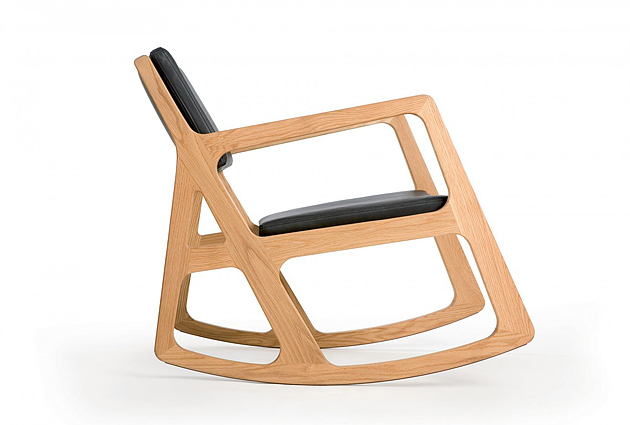 Sleepy is a modern interpretation of an amusing icon of our collective childhood: the rocking chair. The form is slender and sophisticated in premium solid hardwood, while maintaining the comfort and playful spirit of our earliest memories. Designed by Autoban and manufactured by De La Espada for the Autoban brand. Autoban is an Istanbul-based design studio, highly influenced by nature and the rituals of daily life and the diversity of Istanbul. They playfully reinterpret the familiar through modern forms and contrasting materials.